Having storage built into your outdoor kitchen just makes sense. You will find a multitude of uses for the extra space: condiments, utensils, glass and cookware, placemats, and more. The 24” x 39” Double Access Door by Saber Grills adds storage space and all-weather year-round protection, plus a protected paper towel holder. 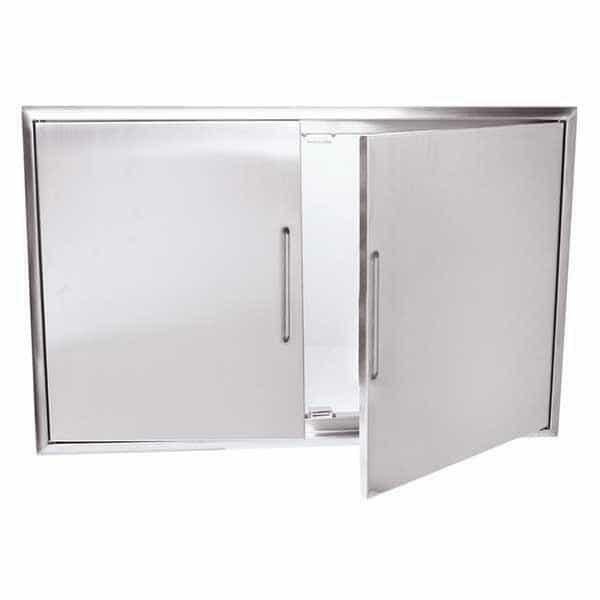 Constructed from prime 304 stainless steel, the 24” x 39” Double Access Door is solid and secure. The stainless material is sleek and attractive and will match all the other Saber pieces you may have.